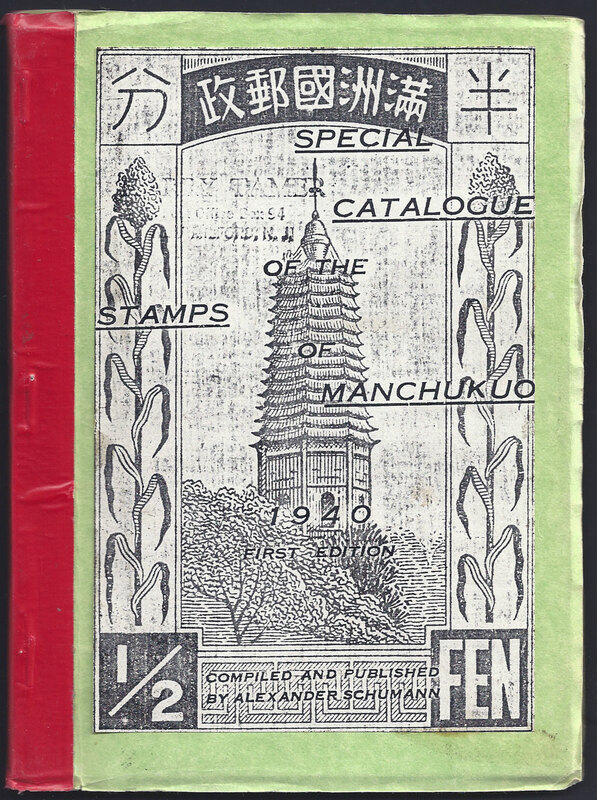 Alexander Schumann was a stamp dealer (The Mercury Stamp Co) based in Shanghai, specialising in the stamps of China and in particular Manchukuo. 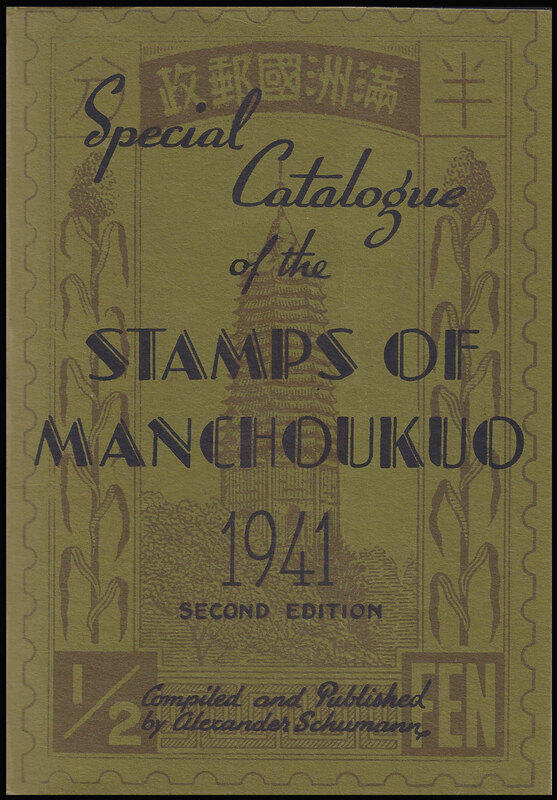 In March 1940 he brought out what was probably the first specialist catalogue of stamps solely from Manchukuo, Special Catalogue of the Stamps of Manchoukuo, this was re-written and a second edition published in September 1940 and dated 1941. 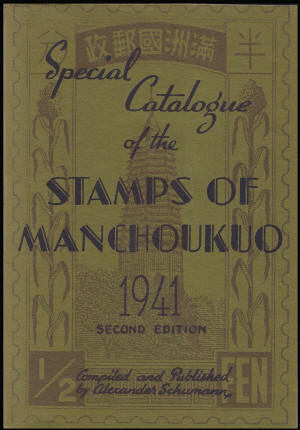 The final hardback catalogues came out in 1942 and 1943, due to the war sales were poor, as a result few copies exist today. 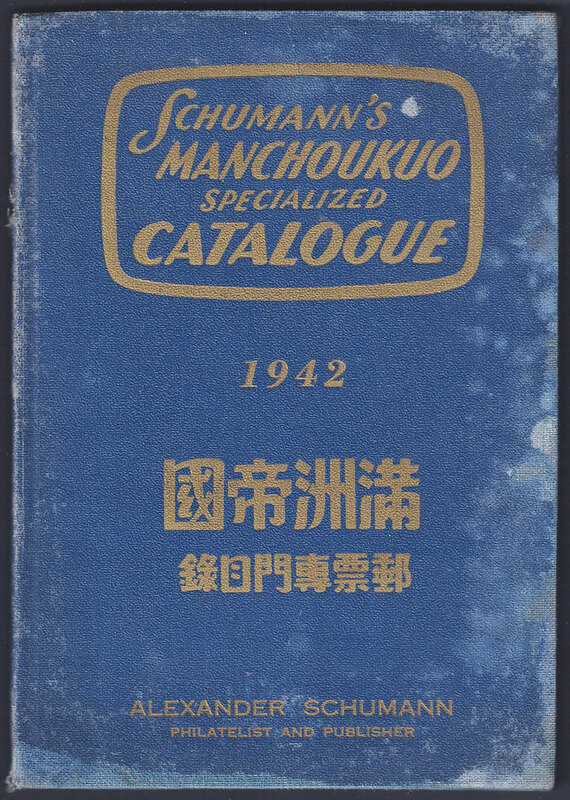 Schumann's Manchoukuo Specialized Catalogue is a useful work to have because many of the varieties shown are referred to by other authors and used by modern dealers in their descriptions. 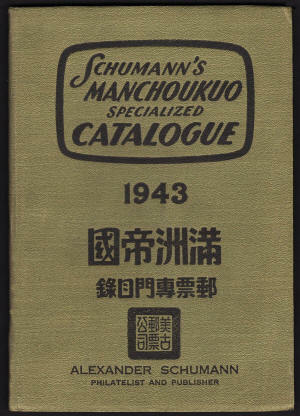 Schumann's Catalogues are well written and covers all stamps issued up to 1942 including the "officially sealed" labels which are seldom mentioned elsewhere. A paperback reproduction of the 1941 second edition appeared in the 1970's, printed by J Millard Williams, this copy can be easily found today by anyone who is interested. J Millard Williams printed his own series of pricelists of Chinese and Taiwanese stamps continuing until the late 1980's. Alexander Schumann had a small hand stamp made and he would apply this to the bottom right hand corner of any of the more valuable stamps passing through his hands. 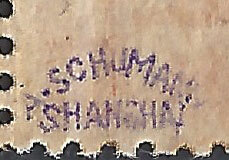 Look out for a small violet "A.Schuman Shanghai" as shown above, if you see this you can be sure you have a rare stamp. I can only assume that the reason Schuman is spelt with one "N" or perhaps an "M" is due to a stamp makers error.